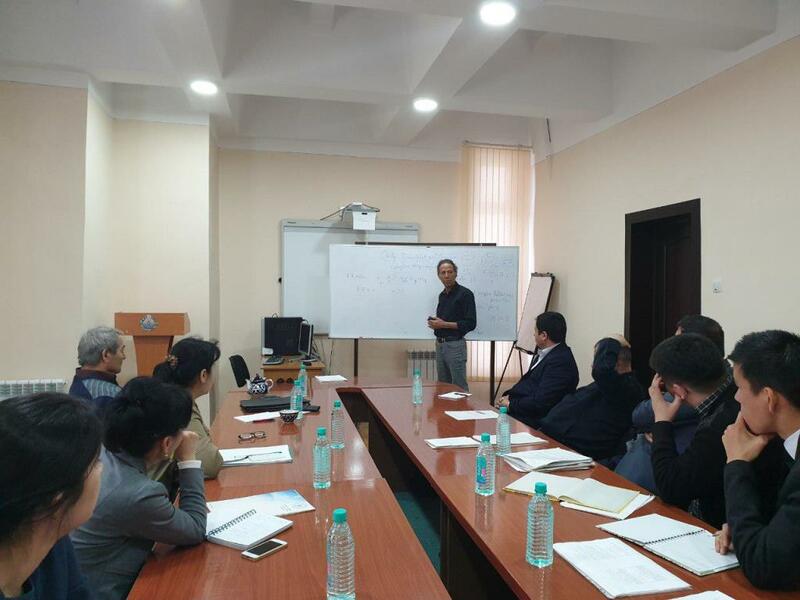 Admission of articles to the journal "Khorezm Mamun Academy bulletin"
Regulation of visits to the constant exposition of "Historical cultural museum"
On April 10, 2019, Professor of the University of Toulouse in France Ahmed Zeriahi gave a lecture on “Cauchy-Dirichlet problem for complex Monge-Ampere flows” at the seminar, organized by the department of "Exact Sciences" of the Khorezm academy of Mamun. Academician Azimbay Sadullaev, Professor Sevdior Imomkulov and other professors and researchers took part in the seminar. On the eve of the New Year, another joyful event took place in Khorezm Mamun academy. 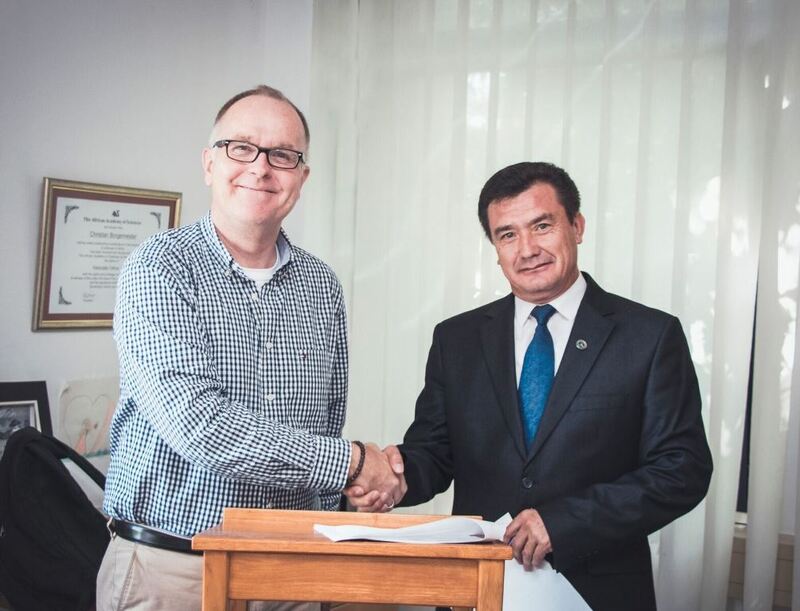 The chairman of Mamun Khorezm academy, the doctor of biological sciences Abdullaev Ikram Iskandarovich was awarded the degree of professor by the decision of the Higher Attestation Commission under the Cabinet of Ministers of the Republic of Uzbekistan. The law about "The State Flag of the Republic of Uzbekistan" was adopted on November 18 in 1991 in the 8th session of the Supreme Council of Uzbekistan. The flag of our country is a symbol of the sovereignty of the Republic. The national flag of the Republic represents the country internationally when official delegations from Uzbekistan visit foreign countries, as well as at conferences, world exhibition, and sports competitions. The national flag of the Republic is a right-angled colored cloth of three horizontal stripes: blue, white and green. Blue is the symbol of the sky and water, which are the main source of life. Mainly, blue was the color of the state flag of Temur. White is the traditional symbol of peace and good luck, as Uzbek people say "Ok yul". Green is the color of nature and new life and good harvest. Two thin red stripes symbolize the power of life. There is a new moon, which symbolizes the newly independent Republic. There are twelve stars, which stand for spiritual sign. The stars also signify the historical traditions of the Uzbek people, as well as ancient solar calendar. A particular attention to twelve stars in the flag is explained yet by another suggestion, that in the states previously existed in the territory of modern Uzbekistan the scientific thought as "Astrology" had seen its rise. The stars in the Uzbek flag also point to the ancient roots of local culture, the aspirations of Uzbek people towards perfection and loyalty. The law about "The State Emblem" was approved by the 10-th session of the Supreme Council of the Republic of Uzbekistan on July 2, 1992. The new state emblem of the Republic of Uzbekistan was created to reflect the many centuries of experience of the Uzbek people. The state emblem of the Republic presents the image of the rising sun over a flourishing valley. Two rivers run through the valley, representing the Syrdarya and Amudarya. The emblem is bordered by wheat on the right side and branches of cotton with opened cotton bolls on the left side. The eight-angle star is at the top of the emblem, symbolizing the unity and confirmation of the republic. The crescent and star inside the eight-pointed star are the sacred symbols of Islam. The mythical bird Semurg with outstretched wings is placed in the center of the emblem as the symbol of the national Renaissance. The entire composition aims to express to desire of the Uzbek people for peace, happiness and prosperity. At the bottom of the emblem inscribed the word "Uzbekistan" written in Uzbek on a ribbon in the national colors of the flag. © 2017 | Khorezm Mamun Academy. All rights reserved.